The Supreme Administrative Court has already determined the judge for consideration of the claim to the president. A former judge of Kyiv's Pechersk district court, Oksana Tsarevych, who has been dismissed for violation of the oath, appealed her dismissal to the Supreme Administrative Court. "Tsarevych has filed a lawsuit against the president on September 30," Ukrainian News reported on 5 October with a reference to a source in court. The Supreme Administrative Court has already determined a judge to consider the claim. On September 29, President Petro Poroshenko dismissed the judge of Pechersk district court of Kyiv Oksana Tsarevych for the violation of the oath in deciding against Euromaidan activists. High Council of Justice in March sent a recommendation to the president to dismiss Tsarevych. The submission of the HCJ indicated that the actions of Tsarevych when considering ten cases against Maidan activists during the period from November 2013 were biased. Such actions indicate, according to HCJ, a violation of basic justice principles, rule of law, failure to ensure the right to a fair trial, disrespect for human rights and freedoms. The HCJ opened disciplinary proceedings against Tsarevych in December 2014 and concerning a number of cases against the activists of Automaidan. 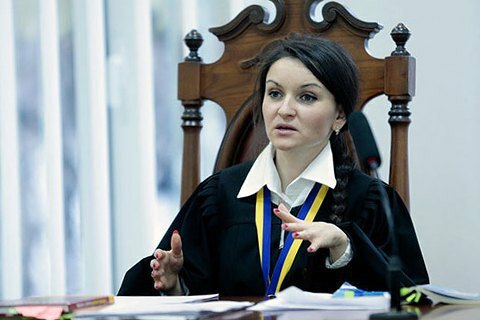 In 2015, the Higher Qualification Commission of Judges suspended Oksana Tsarevych from office. Oksana Tsarevych was part of a panel of judges in the first case against Yuriy Lutsenko. She was also the investigating judge in the murder of the former MP Eugene Shcherban, in which the former prime minister Yulia Tymoshenko was charged, and later refused to issue a warrant to arrest Oleksandr Yefremov. Against Tsarevych, criminal proceedings have been launched on charges of issuing knowingly unjust verdict. The case is pending trial in court.